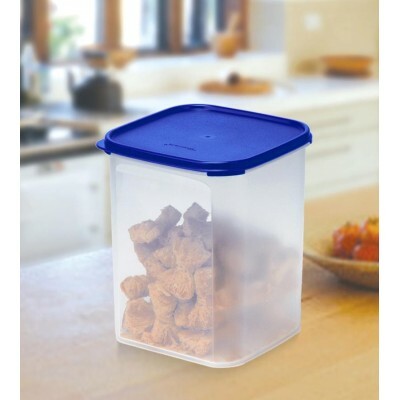 Tupperware’s Modular Mates were created to organize your kitchen for space and convenience, while ensuring that the food stays fresh. They are a complete modular storage solution for the kitchen. Save space: The unique stackable design helps utilize space in the kitchen cupboard to the maximum. In fact, you can gain upto 50% shelf space with the Modular Mates. Save Time: The tabs on the Modular Mates help in easy removal of seals while the clear window on the sides helps identify food quickly. Save Money: Buy larger, economical packs of food and keep them fresh for longer, saving money and repeated trips to the market. Easily stackable to maximize storage. Virtually airtight seal keeps food fresh.